Waves, sand, and time sculpt and transform discarded glass into a precious find at the beach. 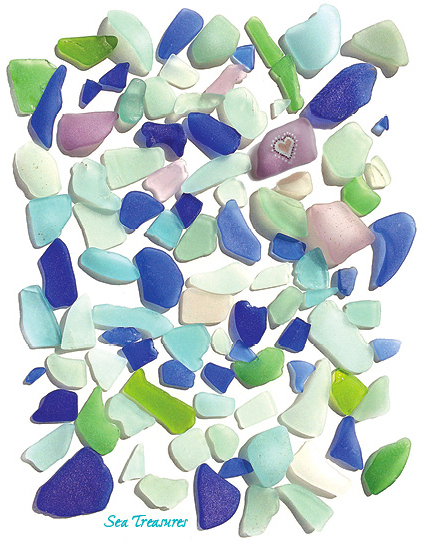 Our colorful image of a collection of natural sea glass celebrates this shore treasure in a unique set of 8 notecards. Copyright © 2010 Down The Shore Publishing Corp. The words "Down The Shore" and logo are a registered U.S. Trademark.